Hamburg - After a battling performance in Josef Zinnbauer's first game in charge, Hamburger SV managed to secure a prized first point of the season with a 0-0 home draw against FC Bayern München. Philipp Lahm: We can't really be happy when we only get a draw. In the second period, we definitely had the chances to win the game. In the first half, though, we weren't quite at our best. We'll focus on Tuesday now [against SC Paderborn 07]. 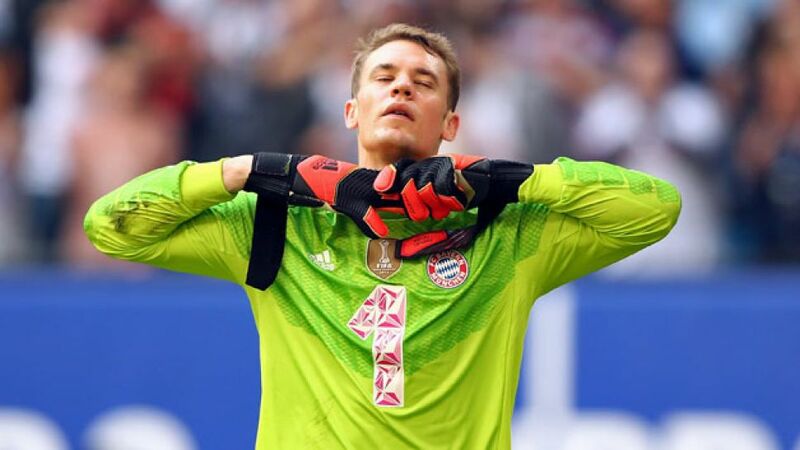 Manuel Neuer: Obviously, we always want to win, wherever we're playing. Today's problem was that we were a bit too late in putting pressure on HSV. For that reason, we'll have to take a point. Lewis Holtby: We showed real desire out there today. That started right in the dressing room, where we really got ourselves in the zone, and you could then see that out on the pitch as we really fought for each other. We were tough to play against. Nicolai Müller: The fans were great and we put in a good performance. The coach told us before the game to press Bayern high and put them under pressure. We managed that, and in our current situation, the point is vital. We've got another tough game on Wednesday though [against Borussia Mönchengladbach].